Me likey this colour bars mouse pad. All those hours spent in the control room, packaging promos and station IDs -- memories!!! 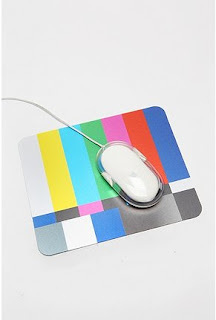 Just be thankful that this mouse mat version of the techy TV colour bars does not include tone! THAT is a good thing, trust me!